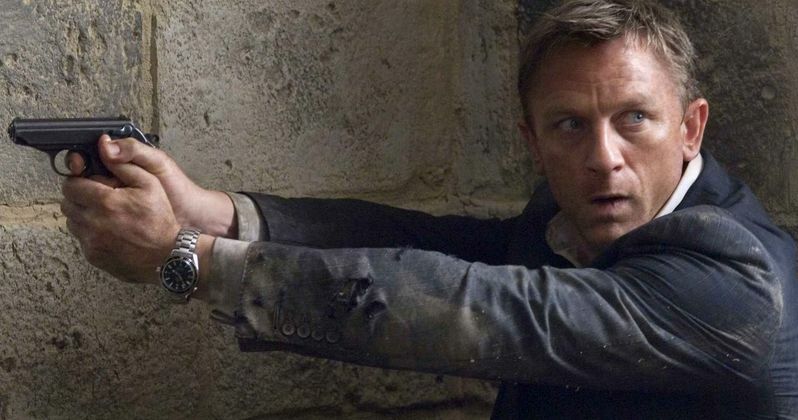 There is still no word yet on whether or not Daniel Craig will return as 007 in James Bond 25. But there have been no shortage of other actors vigorously vying for the position. Today, Eon Productions has made it very clear that there top choice for James Bond in this next adventure is Daniel Craig. And it's just a matter of playing the waiting game to find out if he agrees to come back. An Eon Productions senior production executive spoke out on the matter to UK's BBC Radio 4 Today program, via Deadline. And they made it very clear who their number one top choice is. Callum McDougall has worked on the previous four Bond movies. And about Daniel Craig's possible return, he said this. "[He's] absolutely the first choice." Callum McDougall was speaking for famed series producers Barbara Broccoli and Michael G. Wilson in making this statement. They run the 007 production banner Eon Productions. Asked if there was any concrete proof that Daniel Craig was mulling over his return, the senior production executive said this. "I wish I knew. We love Daniel. We would love Daniel to return as Bond. Without any question he is absolutely Michael G. Wilson and Barbara Broccoli's first choice. I know they're hoping for him to come back." Over the years, McDougall has worked on 9 different James Bond movies. And he has been part of every single one involving Daniel Craig up until this point, which includes Casino Royal, Quantum of Solace, Skyfall and Spectre. As of this moment, what could possibly be Craig's fifth and final installment doesn't have a title, and no plot details are being discussed at this time. There has been plenty of speculation as to who might replace Daniel Craig. The front runner seems to be Thor star Tom Hiddleston. But also in the running is Idris Elba, who, for a long time, was Sony Pictures personal pick, though the actor himself believes he may be too old at this point. Jamie Bell is also high on the list of possible candidates. These are all merely /james-bond-movies-daniel-craig-return-offered-150-million/rumors at this point, but as persistent as they are, you can expect that there is some validity to them. Eon Productions has a reputation for remaining very tight lipped on these matters until the time an official announcement is to be made. The most likely scenario sees the star of James Bond 25 being announced sometime in early 2017 with production to start later next year.